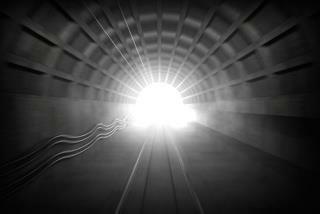 (Newser) – That "heavenly" light at the end of the tunnel may have more to do with carbon dioxide than an afterlife, a new study finds. Slovenian researchers studying near-death experiences found that people who reported seeing their life—or light—flash before their eyes had higher levels of CO2 in their systems. Up to 25% of cardiac patients report having such experiences. Why do scientists hate Jeebus?